Great cart for hauling what ever it is you haul. It has a 13hp KAWASAKI engine with plenty of power. 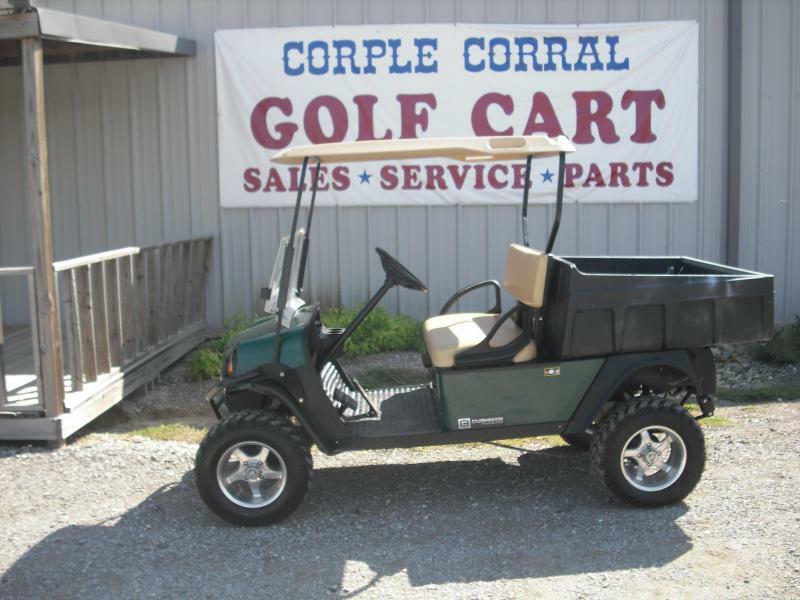 It is equipped with an electric dump bed, lights, factory lift and aluminum wheels. Everything works as it should. Come see us at 17887 hwy 380 west in PONDER TX 76259 or give us a call at 940-395-2998 thanks.